Ah, ah, ah, ah, you little scoundrels! I am Barbarossa, the terrifying pirate. Unfortunately, the Royal Navy captured me with a hanging trick. But they'll never get my treasure. It's yours... if you can find it before the others can! Ah! Ah! Ah! Ah! Ah! All the pirates of the Seven Seas are looking for the Treasure Island, where Barbarossa, the famous pirate, has hidden his precious treasure! Are you ready for this incredible journey? You'll need courage and a little luck! 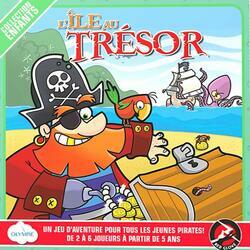 Treasure Island is a great adventure game with pirates, ships and treasures.